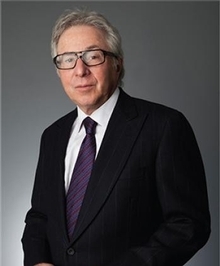 Stanley M. Grossman is Senior Counsel to Grossman LLP. He has litigated complex securities and antitrust actions for over 40 years, and is recognized as a leader in the bar. Mr. Grossman’s broad experience has included trials of complex corporate and securities matters, as well as appellate work in federal and state courts across the country, resulting in recoveries for his clients aggregating well over $1 billion. For the past six years he has been named by Super Lawyers Magazine as an outstanding attorney in the United States, and was featured in an New York Law Journal article entitled “Top Litigators in Securities Field — A Who’s Who of City’s Leading Courtroom Combatants” (8/1/83). In 2008, he argued before the United States Supreme Court in the landmark case of Stoneridge Investment Partners v. Scientific-Atlanta. He has lectured to the profession on various occasions under the auspices of the Southern Federal Securities Institute, Columbia University School of Law, Duke University Law School, University of Arizona Law School, Brooklyn Law School, ALI-ABA, PLI, the New York State Bar Association, and the Association of the Bar of the City of New York. Mr. Grossman is the author of “Commentary: The Social Meaning of Shareholder Suits,” 65 BROOKLYN LAW REV. (1999), among other articles. Mr. Grossman has been active in numerous professional organizations. He is the former president of the National Association of Securities Attorneys (“NASCAT”) – an organization of attorneys specializing in securities class action litigation. During his tenure, he represented NASCAT in meetings with the Chairman of the Securities and Exchange Commission, members of Congress and of the Executive Branch in furnishing input and commentary on legislation which became the Private Securities Litigation Reform Act of 1995 (“PSLRA”). In the summer of 1998, at the invitation of Chairman of the Judiciary Committee Henry Hyde, Mr. Grossman testified before Congress on proposed legislation dealing with “federalization of state class actions.” Subsequent to the hearings, Mr. Grossman was requested to participate with Congressional counsel in drafting proposed legislation. He has served as a member of the Judiciary Committee of the Association of the Bar of the City of New York, the Committee on Professional and Judicial Ethnics; State Courts of Superior Jurisdiction; and Trade and Antitrust. He is also a member of the Litigation Bar dealing with class actions at the American Bar Association.